Pubblicato 3 Aprile 2019 alle 1024 × 682 in Corpi migranti. Ginevra Malta in the “red zone”, the autopsy tent, ready to compile the autopsy notes for one of the victims of 18th April 2015 shipwreck. 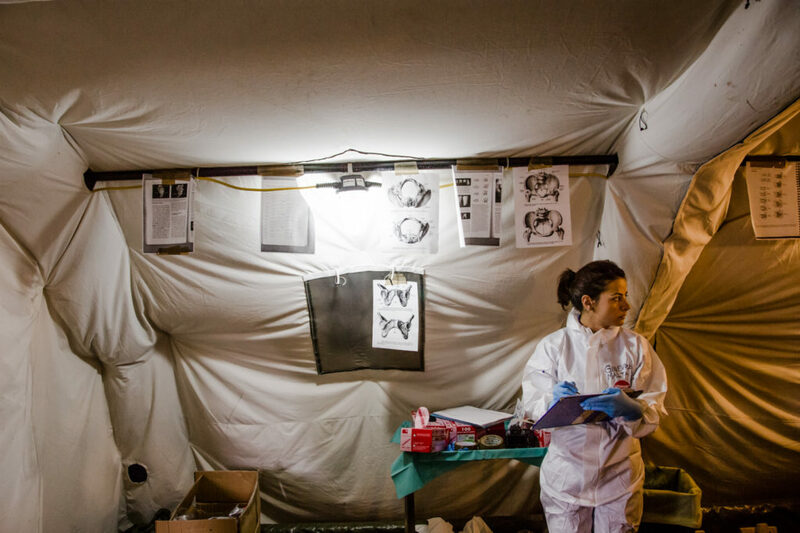 In the hangar of the Nato base of Melilli, in the two tents equipped, are analysed around 10 bodies per day, includin for each body the analysis and evidence collection of all the clothes and the finds.